With all of the goings-on during NYCxDesign, it can be hard to wrap one’s brain around everything on display. Thoughts range from “That’s beautiful” to “What’s going on here?” and, at the end of a week, everything begins to meld to gather in a phantasmagoria of colors, textures, and styles. One recurring motif that stuck in our mind was concrete. 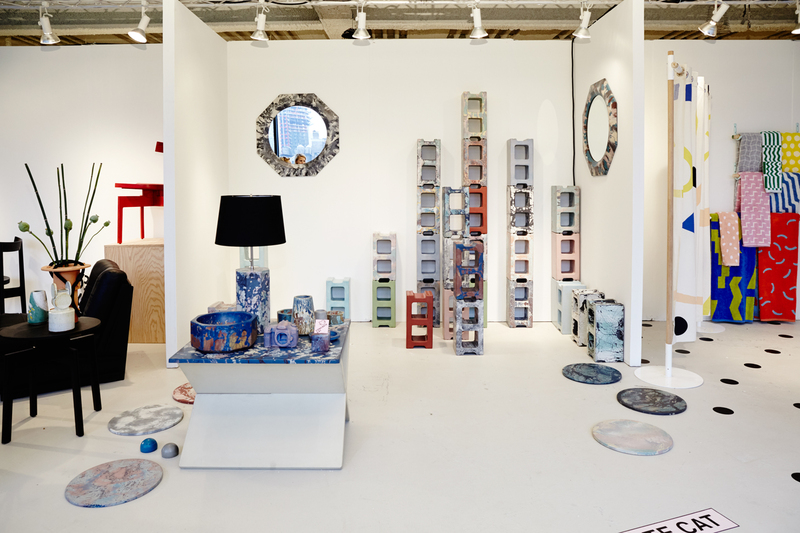 Sure, home decor has been gearing toward the material for some time, but all over the city—including Sight Unseen OFFSITE and ICFF—concrete was being molded into unexpected design elements. 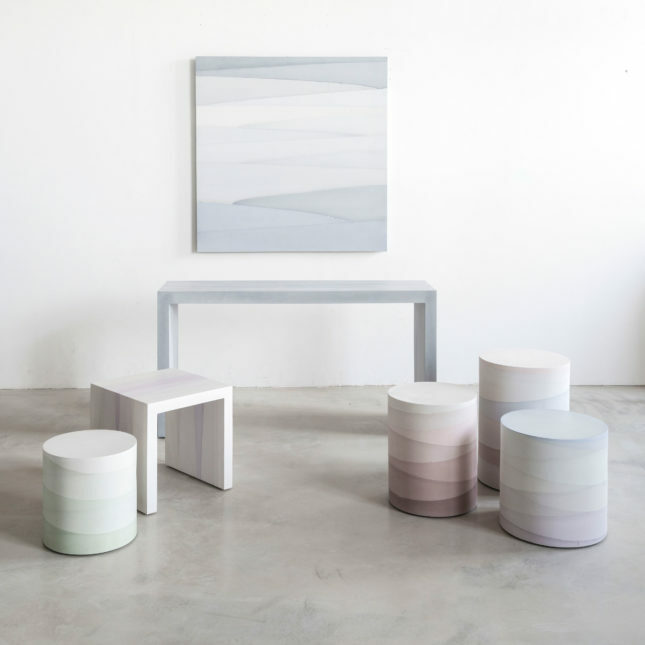 Designed and constructed by Fernando Mastrangelo, his newest line of sculptural furniture uses hand-dyed and cast concrete to create surprisingly smooth stools, tables, and art. He also has a large retail installation in the works utilizing the same techniques, but more on that later. Concrete Cat’s Oracle pattern is one-of-a-kind, and is actually cast into each piece rather than being applied or painted onto the surface. 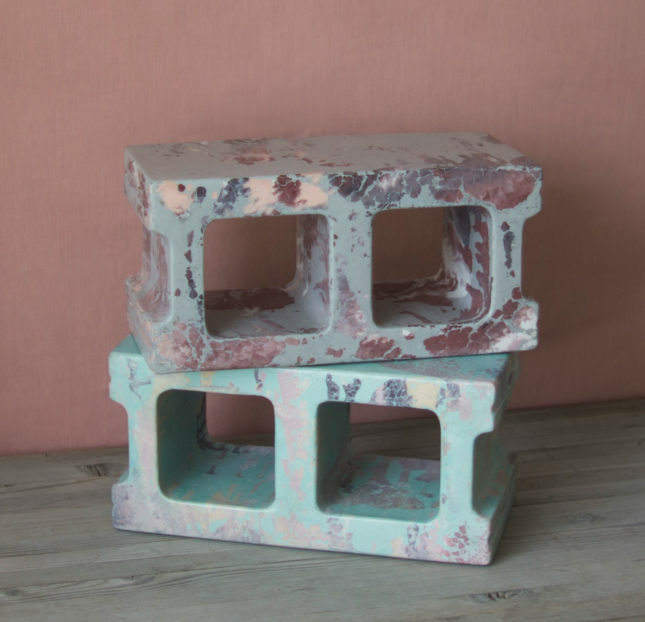 In addition to beautiful homewares (including the above cinderblocks that can be used in hundreds of ways from furniture, to modular walls), they also specialize in architectural castings, including retail displays, fireplaces, and tiles. This collection of fiberglass coated concrete furniture adapts a mid-century, minimal style that really stood out at this year’s ICFF. 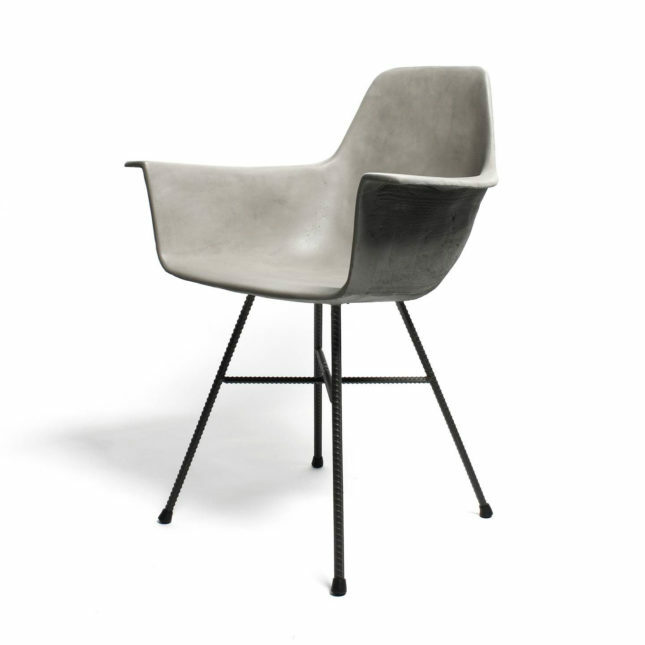 The pieces are fairly light, and use a combination of sophisticated polished concrete, with a more industrial rough-textured back and wrought irons legs. Plus they make whimsical vases, toilet paper holders, and art. 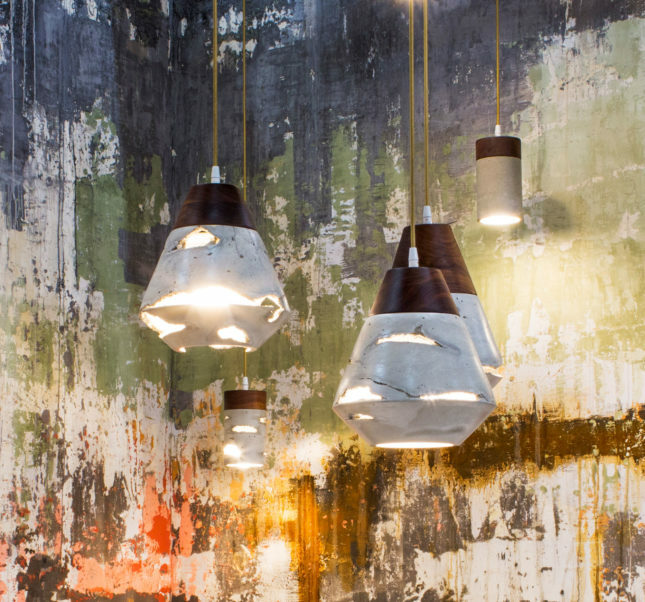 These beautiful concrete pendant lamps are available in a range of different sizes and shapes; they also come in classic smooth concrete or excavation-light that makes it appear as if light is escaping from the cracks in a decaying building. On top of beautiful lighting, In.Sek also makes excavated stools that resemble caves growing quartz crystals. 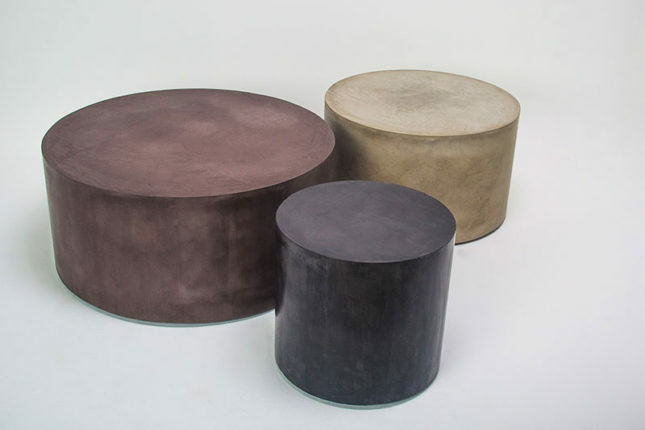 OSO Industries’ Rollerboys may look like an average round stool or coffee table, but these ultra-light cylinders roll around on recessed wheels that give the illusion that they float. It has never been easier to transition furniture from indoors to out, plus they are available in twelve color options to match any decor.